432. Breast-wheel. 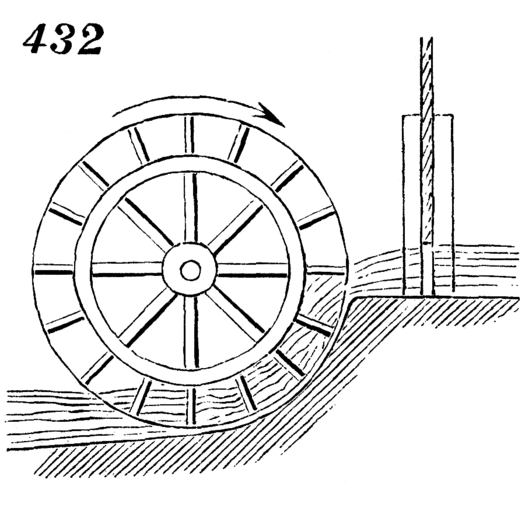 This holds intermediate place between overshot and undershot wheels; has float-boards like the former, but the cavities between are converted into buckets by moving in a channel adapted to circumference and width, and into which water enters nearly at the level of axle.